In our previous blog, The Loss of Mutual Trust and Confidence Part I– restructuring and terminating employees, the issue was raised that the Barker decision has led to a situation in which employees are now pursuing claims against employers for a breach of the implied term of “good faith” and accordingly, a breach of contract. “Good faith” in contract law, is a general presumption that the parties to a contract will deal with each other honestly and fairly, so as to not destroy the right of the other party or parties to receive the benefits of the contract. The implied duty of good faith and its implications were recognised in the decision of Silverbrook Research Pty Ltd v Lindley  (“Silverbrook”). In this case, the Court considered the obligation of the company to consider the awarding of an annual performance bonus under the contract to its employee. The employee’s contract stated that Silverbook would assess the employee’s performance against set objectives at the end of each quarter and if those objectives were met, the employee would be paid a bonus. The employer failed to set objectives for the employee for which a bonus could be awarded, which resulted in the employee seeking a breach of contract, when no bonus was forthcoming. The Court found in favour of the employee, who was awarded damages based on an assessment had the employee received the bonuses. In light of Silverbrook, where an employer is obligated to do something in accordance with their duty of “good faith”, then the employer should do it. A common example is in relation to discretionary bonuses in employment contracts. If an employer does not properly consider whether or not to pay a bonus to an employee, then a claim may be brought by the employee for not acting in “good faith”. Employers should be mindful of terms set out in employment contracts and ensure that if a term exists in the employment contract they are willing to act on it and consider it properly. However, whilst in Silverbrook the Court found in favour of the employee, each case must be determined separately based on the facts of the matter. Accordingly, the principles in Silverbrook may be used merely to assist in the interpretation of employment contracts where there is some ambiguity in determining compensation. 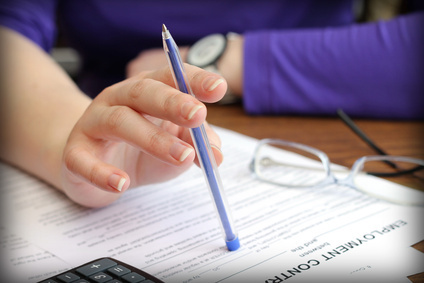 The employment contract is still an instrument that can be used to pursue all sorts of claims and employers must be mindful of claims that can be made against them and pursue legal advice from a lawyer with expertise in Employment Law should an issue arise within the employment relationship.